If you have never tried Indian cuisine, now is your chance with the Indian Embassy in Ankara hosting "Indian Food Days." The event, which ends tomorrow, will offer the best of Indian cuisine. 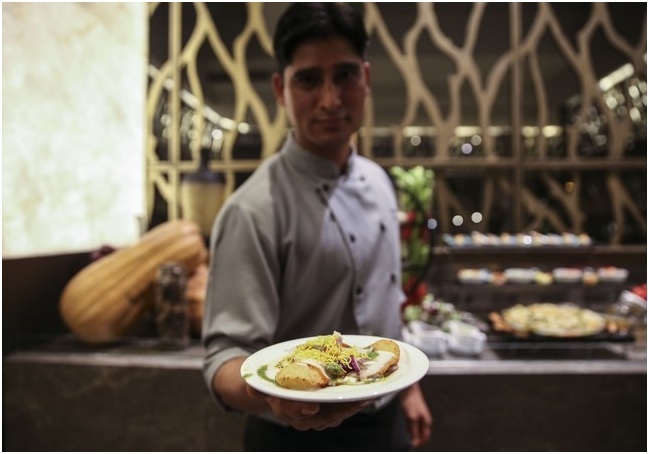 Rakesh Singh, the head chef, also prepared some of Gandhi's most favorite dishes. One of them, khichadi, is a popular dish made of rice and lentil, seasoned with curry, cumin, pepper and oil. If you are eager to taste the famous paneer butter masala - a sweet-sour dish made with cheese, tomato sauce, butter and cream - you are also in the right place. Speaking to the press at the opening ceremony, Indian Ambassador to Turkey Sanjay Bhattacharyya said that Turkey and India has a long history of spice trade that goes back thousands of years. He also pointed out the similarities between Indian and Turkish cuisines and said that the spicy food of India is similar to the local cuisines of Şanlıurfa and Gaziantep, which boasts a UNESCO-recognized culinary tradition.